The group, organized by the US Young Republicans International Committee, will arrive in the UK during the last week of campaigning to provide additional support to candidates in Enfield North, Aylesbury and Windsor. The Tories are facing stiff competition from the UK Independence Party (UKIP) in Enfield North and Aylesbury, but the decision to bring in the Americans may be seen as controversial as the Young Republicans will aid with a campaign they are unable to vote in. “Conservatives currently have the most support nationwide, but a clear majority in the Commons isn’t guaranteed. With strong opposition from Labour on the left and smaller parties splitting the vote, polling suggests this will be the closest-run election in decades. The identity of the next government and prime minister are far from certain,” it adds. The latest polls from YouGov, however, suggest Labour is marginally edging the Conservatives with 35 percent. The Conservatives sit slightly behind on 34. 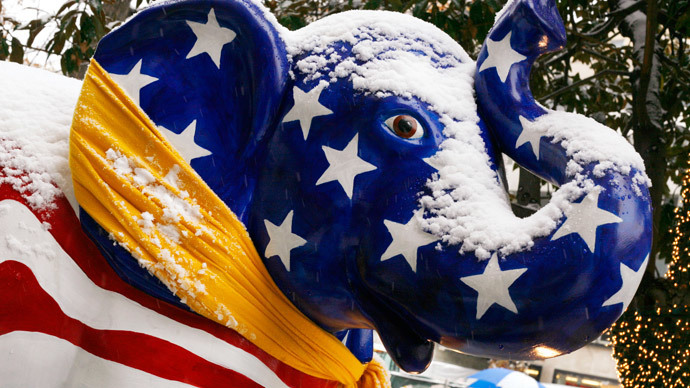 The Young Republicans are a US-based group of 18- to 40-year-olds who support the Republican Party. “YRNF’s program will begin on Saturday 2 May in London, followed by four days of campaigning for Conservative candidates in three different constituencies and a chance to participate in Election Day itself,” the invitation reads. The YRNF website says the visit was organized jointly by the Conservatives and the Republicans, the Guardian reports. News of the group’s visit has angered Labour candidates from the seats who say the tour will foster anti-NHS sentiment. “The Conservatives’ betrayal on our local NHS is the key issue for many people in Enfield at this election. It says a lot when the Tories are now shipping in Republicans to salvage their campaign – a party whose entire political agenda is focused on stopping any form of public healthcare,” Labour candidate for Enfield North and the area’s former MP Joan Ryan told the Guardian. “It feels very much like a subversion of democracy when people who don’t even live in the country are brought in to campaign for [the Conservative candidate] in Windsor,” Fiona Dent said.